Weight loss can be a real challenge. Commercial diets for weight loss do not always work and are sometimes harmful to your body. Also read: Sometimes food is best medicine. It is becoming more evident that cinnamon stabilizes blood sugar levels and increases the metabolism of glucose. Since high blood sugar levels can lead to increased storage of fat, cinnamon helps prevent it. Cinnamon improves insulin function. Thus, you lose weight. This potent spice is gaining a lot of attention these days as a potential appetite suppressant. A New York study suggests that cayenne pepper may be an effective appetite suppressant. Cayenne pepper is also thought to boost metabolism and can aid the body in burning excess amounts of fats. The root works hard to help our digestive systems run efficiently, breaking down fatty foods. It simulates digestions, and helps the muscles in our GI tract run smoothly and move food through our body properly. Since it is a simple sugar, not a refined or processed sugar, honey contains vitamins, minerals, nutrients, and is good for you. Honey helps boost and speed up the metabolism, which helps the body burn fat. It also works as an appetite suppressant, so the hungry feel subsides. The superstar spice has been prescribed to aid weight loss by practitioners of alternative medicine for decades. Researchers at the Jean Mayer USDA Human Nutrition Research Center on Aging at Tufts University (USDA HNRCA) have found evidence that curcumin, believed to be the primary bio-active component of turmeric, can slow the growth of fat. 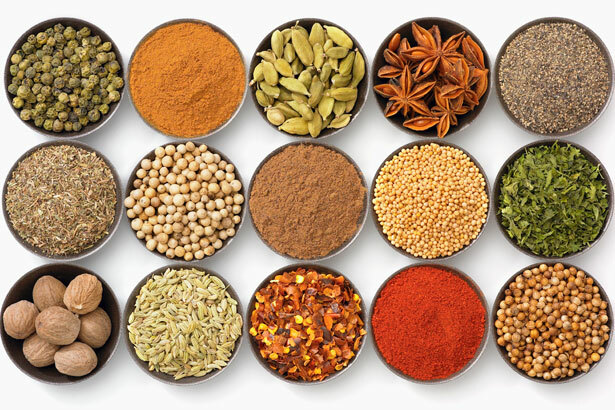 Like cinnamon, turmeric also helps regulate blood sugar. 1. “Alternative Treatments for Weight Loss: A Critical Review.” National Center for Biotechnology Information. U.S. National Library of Medicine, n.d. Web. 19 Sept. 2013. 2. “Compound In Turmeric Spice May Stall Spread Of Fat Tissue.” ScienceDaily. ScienceDaily, 25 May 2009. Web. 19 Sept. 2013.